Industry tracking to beat last year record-setting recall year of 64 million. The 2008 Honda Accord is part of another recall for faulty airbags. 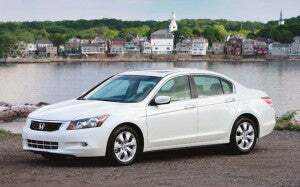 The maker is recalling 300,000 of the vehicles from 2008 and 2009. There have been 19 complaints about the issue, which the maker blamed on an incorrect sensor calibration. 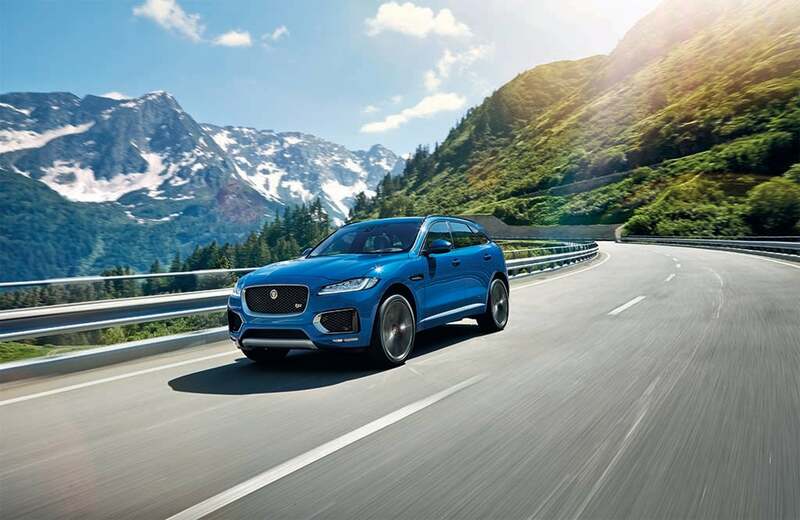 The problem affects both the air curtains, which are in the roof above the side windows and provide head protection, and airbags in the side of the seat that protect the torso. Aiming at the 70% of the world’s population not yet mobile. 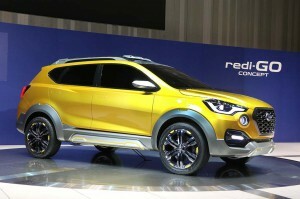 The new Datsun Go-Cross Concept. With its tall roof, high seating position, rugged-looking skid plate and sunset-orange paint, the new Go-Cross looks like a stylish take on the crossover utility vehicles that have become increasingly popular in placed like the U.S., Europe and Japan. But when it comes to market a couple years from now, it will take aim at a select group of emerging markets including India, Indonesia, South Africa and Russia. And it will likely carry a price tag of under US$10,000, a fraction of what a similar model might go for in established markets. While officially a concept car, for now, the Go-Cross is all but certain to become one of the next models offered by Nissan Motor Co. through its recently revived Datsun division. Deal for deferred prosecution calls for outside safety supervisor. 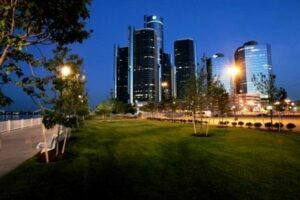 As part of its deferred prosecution agreement, GM is getting an independent monitor. General Motors is getting one more safeguard as part of its revamp of its safety efforts: an independent monitor. The automaker agreed to the appointment of federal monitor to oversee the company’s compliance with the terms of the “Deferred Prosecution” deal that it signed last month with U.S. Attorney’s office in the Southern District of New York in a bid to resolve legal issues stemming from the ignition-switch scandal that has now cost the company billions. 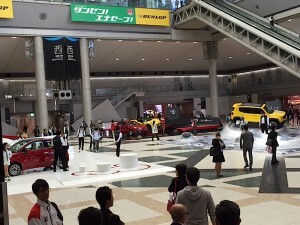 Concept hydrogen and battery cars in abundance at 2015 Tokyo Motor Show. 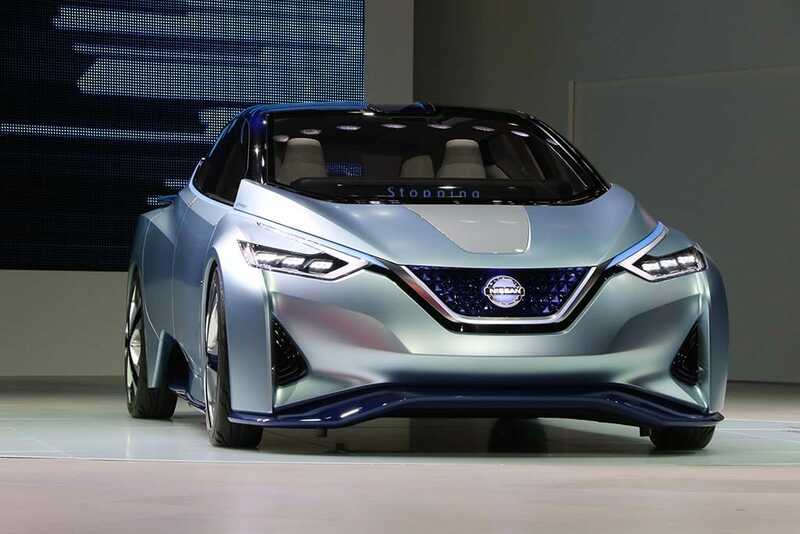 The design of the IDS Concept hints at the direction Nissan will take with the second-generation Leaf. When the Olympics roll into Tokyo in 2020, visitors from around the world are likely to get a glimpse of the future as they race to the various sports venues now under construction around the sprawling, crowded city. One choked by pollution, Tokyo plans to use the Olympics to showcase groundbreaking environmentally friendly – and safe – automobiles. But there’s no need to wait four years. The 2015 Tokyo Motor Show is already offering a glimpse of what’s coming. Several senior officials contacted by TheDetroitBureau.com confirmed an electric vehicle program is underway, and it could result in a variant of the new Jaguar F-Pace SUV, in this case renamed the E-Pace. New CEO Mueller outlines five steps to get past diesel emissions scandal. 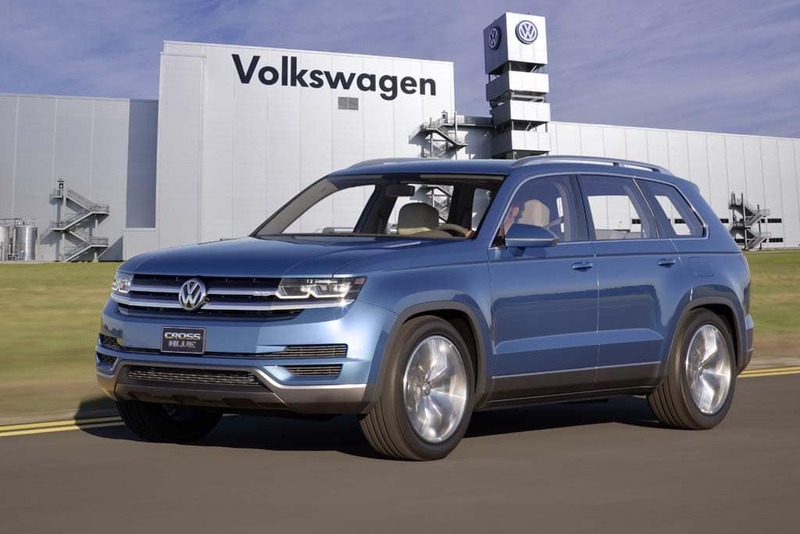 VW will build a version of its CrossBlue Concept when it completes the Chattanooga plant expansion. Despite a freeze on sales of most of its diesel-powered cars, and a series of lawsuits that could cost it billions of dollars, Volkswagen says it won’t scale back an ambitious plan to expand its Chattanooga assembly plant, a move that will cost it $900 million to add production of a new SUV, adding 2,000 new jobs in the process. “The United States continues to be one of the most important markets for Volkswagen, and our commitment to Chattanooga and the state of Tennessee is clear proof of that,” said Michael Horn, president and CEO of Volkswagen Group of America. There had been speculation that VW might scale back the project in the wake of a scandal triggered by revelations it had cheated on emissions tests by installing a so-called “defeat device” in 482,000 diesel-powered vehicles sold in the U.S., and 11 million sold worldwide. The maker has already set aside $7.3 billion to cover the cost of the scandal, and Matthias Mueller, CEO of parent Volkswagen AG, has just outlined a five-step recovery plan. A radical alternative to conventional car design. The Toyota FCV Plus largely abandons traditional automotive design conventions. The funky styling of the new Toyota Mirai hydrogen car has already been raising some eyebrows, but if you think that’s pushing the envelope, well, as the old saying goes, you ain’t seen nothing’ yet. 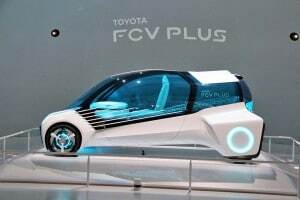 The fundamentals of a fuel-cell vehicle are radically different from those of a car using an internal combustion engine, and Toyota takes things to a radical extreme with the FCV Plus concept vehicle that made its debut at the Tokyo Motor Show this week. With the basic hardware driving the prototype neatly tucked away, the FCV devotes virtually every inch above the floorboards to passengers and cargo, resulting in a design that might seem more at home on the set of a science fiction flick than on today’s highways. Former US Bankruptcy Judge appointed to oversee settlements. VW now faces over 300 lawsuits for cheating on diesel emissions tests. So far, more than 300 lawsuits have been filed against Volkswagen in the wake of revelations it cheated on diesel emissions tests, and a former U.S. Bankruptcy Judge has been given the difficult challenge of trying to consolidate the various legal actions and usher in a settlement. A panel of federal judges will meet in early December to take what could be the next step, deciding on a single venue to handle the expected mega-class action. VW faces the possibility of paying out billions of dollars to owners of the 482,000 diesel-powered vehicles it acknowledged were outfitted with software designed to make the cars appear to meet emissions standards while undergoing certification tests. That’s on top of the hefty fines – possibly as much as $18 billion – the German maker might have to pay the Environmental Protection Agency for violating the Clean Air Act. Separately, VW also faces the prospect of fines and possible criminal charges as the U.S. Justice Department looks into the cheating scandal. Secures hiring path for second-tier workers. 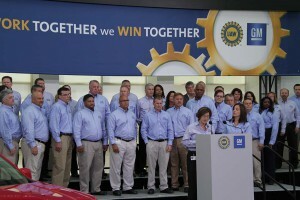 The UAW and GM bargaining teams produced a contract providing health-care for second-tier workers. The United Auto Workers managed to win broad health-care coverage for the second-tier workers at General Motors and a $60,000 bonus for up to 4,000 long-term GM employees who agree retire during the first half of 2016. The health-care package, which includes dental and vision coverage at time when many employers are scaling back health-care plans or piling on new co-pays and deductibles, comes on top of the substantial wage increase that will give second tier, or “in progression” workers an opportunity to reach top levels after eight years on the job.